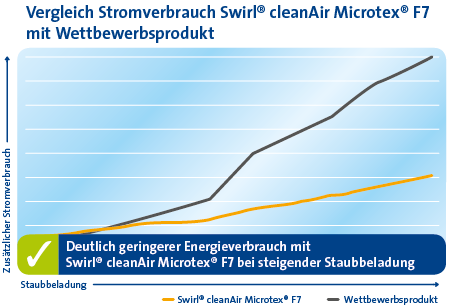 Actively reduce electricity costs with Swirl® cleanAir filters. Did you know that operating costs include between 60-90% power costs? Swirl ® cleanAir filter cassettes and filter mats help to minimise these costs. Their special Microtex® and Micronet® materials are characterised by their excellent air permeability, at the same time delivering outstanding filtration performance. 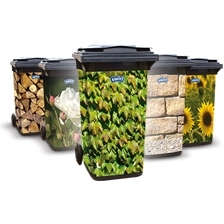 The fine structure of the fibres efficiently retains dirt and dust without the filter clogging up too quickly. This allows the air to continue flowing virtually unhindered in the system, minimising the power cost for operation of the ventilation unit. 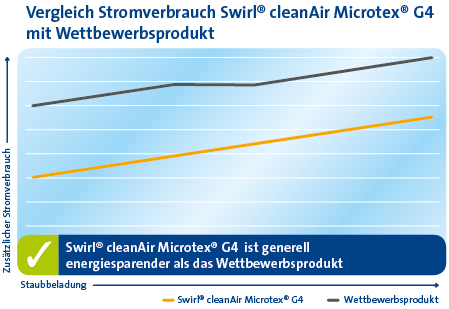 Swirl® cleanAir filters thus provide lasting energy savings! 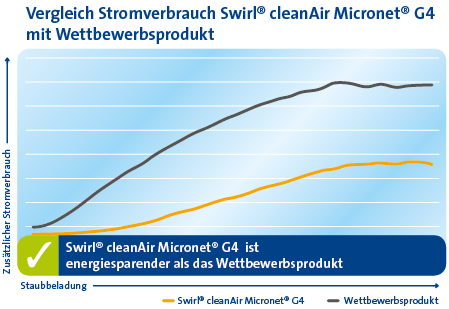 After all, the higher the air resistance, the higher the energy consumption! Handy hint: Changing filters also saves energy! Unless the manufacturer of your system specifies otherwise, we recommend changing Swirl® cleanAir filters at least every six months for optimum filtration and energy-saving performance. the right filter for your ventilation system here in the Swirl® Online Shop.